Curious British Telly: TV Nostalgia: Why Do We Love It So Much? And, in particular, having been born in the early 80s, I missed out on so much amazing TV that aired in the years before my birth, so the past has always felt like one big treasure hunt where I'm constantly searching for a hidden gem which - for one reason or another - has been obscured by the sands of time, just out of reach of my curious mitts. Then, of course, there's so much television from my own lifetime which remains locked up in the archives and unseen for years. I'm determined to reconnect with this if only to conduct a quick re-appraisal of my memories and see how my tastes have change. Or sometimes I just want to enjoy a damn good TV show from yesteryear - see Lovejoy and Doctor Who. I, of course, am but one man, so the reasons behind my love of TV nostalgia can't be taken as the definitive word on the subject. And that's why I decided to get in touch with some fellow fans of TV nostalgia - whose opinions I value very highly - to see what makes them tick when it comes to their love of all things from television's past. Now, if you'll excuse me, I'll leave you in the safe and capable hands of my retro TV pals to discuss TV Nostalgia: Why Do We Love It So Much? 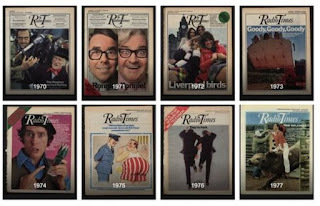 Growing up in America I was used to a TV landscape of plentiful repeats. Watching comedy and sci-fi programmes from the 1950s and 1960s on broadcast television was an everyday occurrence. When it came to Saturday Morning cartoons they could include theatrical shorts going all the way back to the 1930s! So television was a fair playing field across the decades. You could get He-Man sitting comfortably with Gilligan's Island, or WWF wrestling followed by Twilight Zone. Eventually programmes from this distant country caught my attention. The two which most fascinated me at the time were Doctor Who & Monty Python. Monty Python had all of its surreal elements elevated to a new plain by being so immersed in the British experience - something totally alien to me. It was impossible to tell exactly where reality began and ended. Dr Who stood out even more as here we had a hero entirely unlike American TV heroes. On American TV everything was solved with the help of big guns and bigger explosions. The A-Team dominated back then and was perhaps the ultimate example of this model of American heroes. I was growing up in a very harsh innercity environment, and these shows depicted a world where people could be best eccentric and solve their problems by being terribly clever. Needless to say I sought out more of these British programmes and my life took many unusual turns. I left sunny California for rather more rainy Oxford. And was surprised that most people I spoke to had never heard of or seen many British shows I took for granted. The culture of repeats was very limited and it seemed to me people would much rather see a brand new rubbishy programme than a well crafted and well written programme from years gone by. I had become aware that so many programmes had been junked and lost to history. For that clunky old Dr Who, fans way back in the 60s had recorded all the audio on reel to reel tape, and another fellow had taken snaps off the telly for many of them as well. So I spent some time doing reconstructions of old stories. But I wanted to give something back to this country which has given me a lot of hope over the years and even taken me in. So I became determined to find something missing. It meant searching out for and exploring ancient tapes. Not just Betamax and VHS but formats like SVR, U-matic, and n1500! It was on a collection of strange looking, square, video tapes from 1973 that I finally had some success! I found nine missing episodes of The Small World of Samuel Tweet. Meaning that a show that only had two episodes left in existence now only has two episodes missing. I have a great affection for these shows, not because they are vintage or historically interesting, but because they are so extremely good. You'll be hard pressed to find a show funnier than Dad's Army, more charming than the Clangers, more subversive than The Prisoner, more unpredictable and angry than The Young Ones, more fun and funky than The Avengers, or more FAB than Thunderbirds. I do wish there was more space for these treasures to be repeated, re-discovered, and re-appreciated -- but through DVDs and dodgy downloads, I do get the immense joy of sharing them with my children. I’d like to think that my delve into the archives of television was fuelled from nostalgia; trying to relive those moments, or recreate experiences, which surf on the edge of childhood memory…but then that wouldn’t quite be true. Being somewhat of an odd child, what these days would be more positively termed a geek, I found early fascination with science fiction and programmes about the paranormal and this interest saw me and my brother each being given one of the early compiled videos of seventies Doctor Who one Christmas. 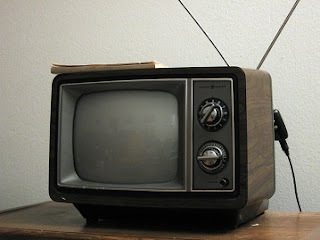 Archive TV? When you’d lived through Davison, Baker, and McCoy in the eighties then you didn’t consider the seventies fodder a different programme: just the same one with a rich history which happened to reach back as far as my Father’s own childhood. But could I have been accused of being a fan of Archive TV later when in front of the video shelves of Manchester’s WHSmith, before the IRA blew them apart, I recommended a sixties Patrick Troughton story to my brother? No, because even despite me bemoaning it as “one of the black and white ones” there was very little choice at the time and I guided his purchase by pointing out that it was more likely a better decision than the derisory Peter Cushing Dalek film next to it. Thus I got to have my prejudice’s confronted and then compounded when it turned out to be very good. From there it was hardly a hop, skip, and a jump to lovingly embrace programmes ranging from The Prisoner to Sergeant Bilko, from Captain Scarlett to Star Fleet, and from Bagpuss to Dad’s Army, through benefitting from being brought up in an era where such programmes were afforded repeats; but then these sorts of programmes deserved them because to a dewy-eyed child they were as new and as fresh as they were upon their first broadcast and beheld a status above that of simply Archive TV because they contained the airy quality known only as “that indefinable magic”. Still, in the notion of Archive TV there is the inherent concept of struggle involved, negating those classics which still appeared on our TVs, with dedication and hard work needed to be applied on the behalf of the viewer through taking the time and effort to track down programmes from the past like Sapphire & Steel, House of Cards, or Abigail’s Party after they’d become available on DVD; collecting chunks of people’s oeuvres such as Russell T Davies’ Century Falls, Steven Moffat’s Press Gang, or Charlie Brooker and Chris Morris’s Nathan Barley; or just by sitting around for long enough until those much-longed-for absent programmes surfaced on YouTube, from some fans old VHS stack, like the motherlode of Bob Mill’s late night ITV classic In Bed with MeDinner. I myself ended up with an episode and a half of In Bed with MeDinner frozen in the amber of a dusty VHS, after the video recorder was retired and taping quick step had come to an end, and with it being said that the programme could never be released or repeated, because of copyright concerns, I held onto that tape like Billy-o in case I should have the only copy of those episodes…in existence. It would have hardly have been stocking the Library of Alexandria but does this then make me a fan? An obsessive? A collector, or a hoarder? Depleted TV archives have reaped the benefits from such people, prepared to hold onto what everyday folk would throw away, such as the children in the sixties so beguiled by that indefinable magic of Doctor Who that from the very beginning they were enchanted to record the TV soundtrack every week and to keep them for decades until their value was realised, the original audio-visual gems having being long lost, including one hardy child who, seemingly like Frederick Algernon “Fatty” Trotteville from Enid Blyton’s Five Find-Outers, had the wherewithal and the clout to take his parents’ TV apart and electrically hardwire his tape-recorder in. The fact that a number of children did this just suggests that such characteristics are innate, as with the actions of the collectors, and the completists, and the hoarders, through being hardwired to act that way. A small percentage of the population, perhaps, but then it’s people at the extreme ends of these spectra who have been piecing together lost collections of Archive TV for decades with an unswerving tunnel vision. Despite how I can rationalise my tumble down the rabbit hole my characteristics are surely also innate, defined by my genes, as I’m an introvert, a loner, and introspective – words that are too absolute to be fit for purpose because like the rest of humanity my traits and flaws are just somewhere on a spectrum – and the latter of those has me constantly looking back, trying to understand nostalgia-based images from the past. One such image that I’d carried with me for most of my life was picked up from a visit to a school friend’s house where I witnessed a programme with scientists producing straight bananas. What was that about? A 21st Century appeal to the like-minded revealed this to have been from the drama How to Be Cool by the now very famous Philip Pullman, author of the His Dark Materials trilogy, and he kindly told me himself that it was cool to have been reminded of that again because even he had forgotten about the bit with the banana. After hankering for an understanding, and searching for it all these years, I’d never forgotten about the banana and so somewhere along the line I think I must have become a fan of Archive TV…although I’m just not quite so sure where. So what does that make me? A fan? An obsessive? A collector? A completest, or a hoarder? And is it Classic TV that I watch? Or are they just repeats? Maybe black and white stuff or old programmes which contain that indefinable magic? Archive TV? We’re all on a spectrum somewhere, but as Stewie Griffin from Family Guy famously once quipped: “What's with all these labels, man? Autobots? Decepticons? Gay? Straight? Just pick a few robots and let's party”. After much pondering, I've come to the conclusion that I was pretty much born with both eyes firmly gazing on the box in the corner of our living room. A photograph exists of me, at just over a year old, studying the classic 'coloured blocks' Channel 4 ident, proving my fascination for television presentation started earlier than my memory stretches back. When my family finally got round to getting internet in the year 2000, websites such as TV Ark were a revelation, showing me long-forgotten archive goodies. As the internet continued to expand, hunting down rare clips of Christmas idents became an enjoyable way for me to spend an hour, as was reading blogs and soaking up as much television knowledge as I could. Little did I know I would use all these nuggets of gathered information to one day write articles of my own! 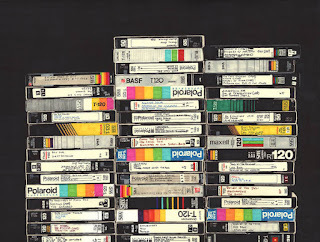 From a personal point of view, looking at these clips always feels comforting and triggers memories of being very young, watching television with my Mum and Dad, without any worries in life. Even now, when having survived yet another hectic day with my two young children, I like to snuggle up with my beloved internet and immerse myself back into the 1980s with a few ITV Central closedowns and a selection of Anglia afternoon junctions! Doctor Who was my gateway drug into archive television in the late 1980s, BBC Video supplying me with a steady stream of stories on VHS that soon made me want to dabble in something stronger, while Dreamwatch Bulletin offered snippets of information on other series that were potentially up my street. At the start (it was in 1988 when I first discovered I had the fan gene), it was all about uncovering Who's 25 year history, wondering what the missing episodes were all about and trying to join the dots in the careers of people involved in the show, finding out what Verity did next or where I could watch more from Robert Holmes. Not everything was as readily available as Doctor Who, but my burgeoning interest in cult TV coincided with a boom in the video market for such niche titles. While much of this probably had something to do with the success of Who for the BBC, some of the blame may lie with Channel 4. TV Heaven aired on Channel Four in 1992, a season of repeats introduced and contextualised by host Frank Muir. This was my opportunity to watch dozens of single episodes of series such as Randall and Hopkirk (Deceased), Callan, The Persuaders and The Prisoner for the first time. I eagerly recorded many of them, hoping they'd all get repeat run (many off which did). At the same time I was receiving my subscription copies of DWB, salivating over the forthcoming release of yet another gem on video, from Adam Adamant Lives! to Star Cops, along with the occasional retrospective in the same magazine. These high-concept series were something of an antidote to the raft of emergency service dramas so beloved of commissioning editors in the 90s. I may have missed them the first time around, but here was an opportunity to finally experience the adventures of 60s spies and 70s playboys without the aid of a time machine. Reality TV and shiny floor shows were the order of the day as we moved into the noughts, though the arrival of DVDS and the likes of Network meant I could discover even more series that even DWB hadn't flagged up. Why sit and watch Big Brother or the latest Casualty spin-off (who remembers Holby Blue?) 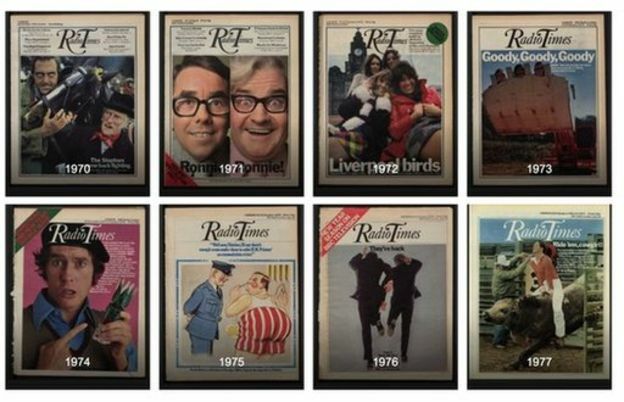 when 1969's Public Eye could be bought for £20? Without an interest in archive TV I'd never have entered The Strange World of Gurney Slade, followed the career of George Bulman through three different series or spent time with Number 6 as he tried to escape The Village. I also wouldn't have met new friends at an Avengers celebration, interviewed my childhood heroes at Doctor Who events or ended up as a freelance arts journalist who occasionally gets to interview an old school film or telly icon for a magazine or the radio. We're now in the age of Blu-ray and supposedly a new Golden Age of TV, but thanks to Network, the BFI, Simply Media and others we're being offered up gems from previous eras that still deserve to be enjoyed by an eager audience, albeit one comprised of a few thousand fans rather than the 10 million watching Bake Off. I'm not too bothered about catching the latest series of Game of Thrones when I have my Alan Clarke box set to work through. I still have four seasons of The Twilight Zone and hours of extras sitting on the shelf, while I recently finished watching Frank Marker get to grips with life outside prison in Public Eye and want to know what happens next. I'll also need to fit in another Callan rewatch and then there's The Power of the Daleks animation. Just because these shows are old doesn't mean they're not worth watching. One day even The Walking Dead and Better Call Saul will be considered vintage - maybe I'll get around to watching them then. Many thanks to all those who contributed to this article, but, for you others out there, there's still time to let us know why you love TV nostalgia in the comments below! Great post - sorry I couldn't find time to offer my own comment! - but these were all wonderful to read. No worries, Mark! You remain a patron saint of television's curious past! It is really interesting of all the overlap between different people here. I’m telling you: it’s that indefinable magic! A very interesting article. I hope you’re glad with the results of it. Yes, I'm as pleased as punch with it. Looking forward to more collaborations in the future! Thanks, once again, for your help! Thanks and GREAT to hear from you again! What's it been? A year or so?! I left the blog and Twitter for a few months around Christmas time last year - for reasons not entirely different to your own - and when I re-emerged in February I was dismayed to see that Spaceybox had disappeared! Time is the best arbiter of quality.